Late in the morning that changed everything, Lt. Heather "Lucky" Penney was on a runway at Andrews Air Force Base and ready to fly. She had her hand on the throttle of an F-16 and she had her orders: Bring down United Airlines Flight 93. Brian Haggerty, the pilot of a plane that lost power off Miami Beach, Florida, said he had just 20 seconds to prepare to land in the water. Haggerty said he was nearly done with his two hour flight towing a banner over the ocean when suddenly the plane had engine trouble. Thirteen-year-old Javionte Allen of Warren, Ohio, took off from classes to be sworn in as an honorary Air Force Reserve second lieutenant and become pilot for a day for the 910th Airlift Wing at Youngstown Air Reserve Station.The purpose of the "Pilot for a Day" program is to reach out to the community by providing a fun-filled day of activities to children who live with a chronic or life-threatening disease or illness. Herbal remedies: Solution or problem? At least once in the course of flight training, pilots are cautioned to "expect the unexpected" and "keep an alternative in mind." If an engine conks out, an alternate airport could save lives. So could an alternate route if bad weather develops. But there's one alternative that may be bad medicine for aviators: herbal remedies, sold as treatments for everything from gastrointestinal distress to sexual dysfunction and memory loss. These nonprescription, natural substances can cause side effects or interact with mainstream drugs to produce other side effects that just don't mix with flying. Some things about flying are just fun to know, others are necessary when taking biennial flight reviews or other tests. On your next biennial, throw some of these questions at your instructor. At 1930 Eastern Standard Time, a Beech BE-36A registered to and operated by the commercial pilot, collided with terrain shortly after takeoff from the Mount Airy/Surry County Airport in Mount Airy, North Carolina. The personal flight was operated under the provisions of Title 14 CFR Part 91 and instrument flight rules. Instrument meteorological conditions prevailed, and an instrument flight plan was filed. The pilot and four passengers received fatal injuries, and the airplane was destroyed. 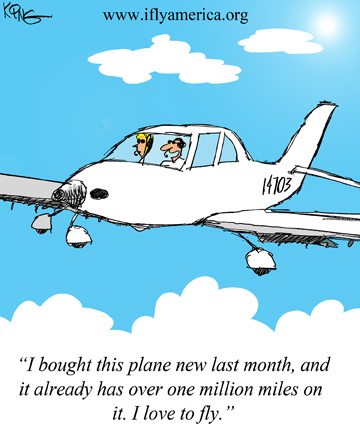 How important is a pilot's 1st airplane? According to author Logan Booker: Commercial airliners — and other high-altitude craft — are pressurised for a reason; along with it being a fair bit colder up there, there's less oxygen for us to breathe. Above 10,000 feet, it doesn't take long for a condition known as hypoxia, or oxygen deprivation, to set in, causing a range of symptoms that replicate intoxication. It was a rough landing for one pilot at Pennsylvania's Zelienople Municipal Airport. The plane was several minutes away from the airport when the pilot, Ross Edmondson, tried to deploy the landing gear. The instrument panel notified Edmondson and his passenger that one of the landing gears wouldn't go down. Peter J. Goutiere was just shy of 30 years old when he piloted a Douglas C-47, the military designation of the venerable commercial DC-3, from Miami to Kolkata, India. The C-47 was the 100th to be delivered to the China National Aviation Corporation, or CNAC. It was 1944. The United States had been at war since Dec. 7, 1941.